LUMC’s long term staff is the heart of our school. Collectively, we bring more than 300 years of combined experience in education to our program. 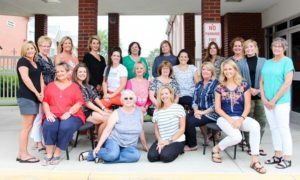 We are a joyful, fun-loving group of women with a shared passion for early childhood education. Our extremely low teacher turnover rate is rare in our field and a testament to our program.